Richard Semmler lives in a small apartment without such luxuries as a home phone , Internet service or cable television. He drives an old car and buys clothes and furniture at thrift shops. He has part-time jobs in addition to his full-time employment, and he’s never taken a vacation. He’s also given more than $1.3 million to charities in his lifetime and donates half of his income to charitable organizations every year. And when the mathematics professor is not teaching at Northern Virginia Community College, he likely can be found hammering away on a home for a needy family or serving meals to the homeless at the Central Union Mission in Washington, D.C. Among his many donations was a $12,000 gift to The Fuller Center for Housing to build four houses in earthquake-ravaged Haiti. Dr. Semmler and The Fuller Center challenged others last month to match the donation. Karen Warkentien has matched it in one fell swoop. Warkentien is an active Fuller Center volunteer who has become more well-known as “Toolie” on work sites. The regulatory affairs consultant with Lewis and Harrison LLC in the D.C. metro area is so inspired by Dr. Semmler’s nonstop giving that she matched the entire $12,000. “Richard is someone who lives so frugally and, yet, has given away millions,” Warkentien said. “I think he is one of the most amazing people I’ve ever had the opportunity to know. The Fuller Center’s Global Builders program already has four more trips to Haiti planned for this year – two each in August and September, including a team wholly comprised of African-American women, which HGTV star Kimberly Lacy will lead. Two more trips to Haiti are planned so far for 2012, in January and July. More trips are likely to be planned. She hardly minded being referred to as “The Tool Wench” before it morphed into “Toolie” because of her affection for The Fuller Center, its founder, and its volunteers and supporters. While Dr. Semmler’s generosity may have inspired Warkentien’s matching donation, her response has only inspired Dr. Semmler to want to do even more. He said he intends to make another donation this year that may be divided to help further The Fuller Center’s work in Haiti and the tornado-ravaged Alabama community of McDonald Chapel. And, like his friend “Toolie,” he wants to do more than just give money to the projects. Warkentien would expect nothing less from Dr. Semmler. Karen "Toolie" Warkentien also is participating in the Fuller Center Bicycle Adventure. Click here to help her meet her fundraising goal! 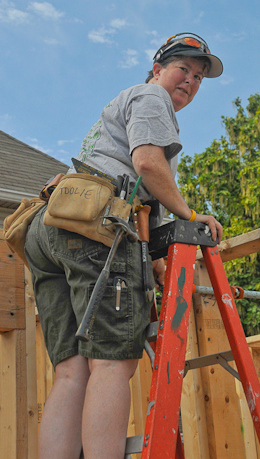 Meet "Toolie" and more outstanding volunteers at this year’s Millard Fuller Legacy Build. Register today! 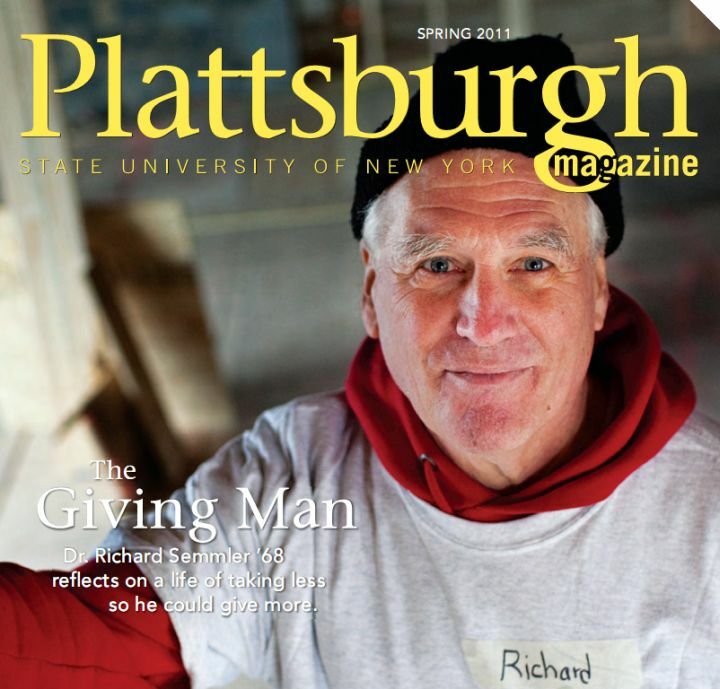 Click here to download a PDF of Plattsburgh State’s spring magazine featuring Dr. Richard Semmler. Contribute to The Fuller Center’s work in Haiti here. Read a blog about Dr. Semmler and Toolie.